Jason would start decorating for Christmas before Thanksgiving if it were socially acceptable, but this year we got our first real tree, which meant we waited a full week after Thanksgiving to start decking the halls Chez Kriegaker. But oh, it was worth the wait! 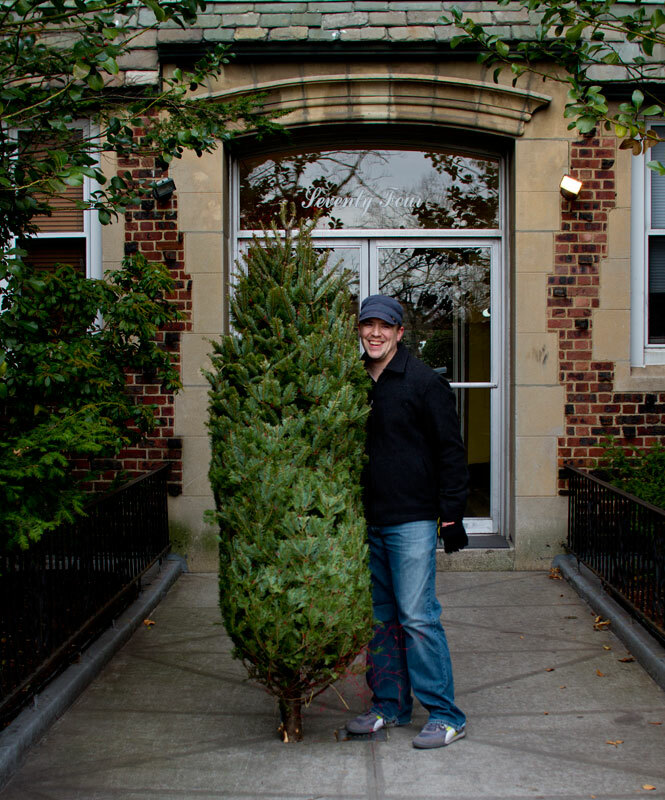 We live just two blocks from a nursery, so we headed over there to pick out our tree (Jason’s first real one ever!). 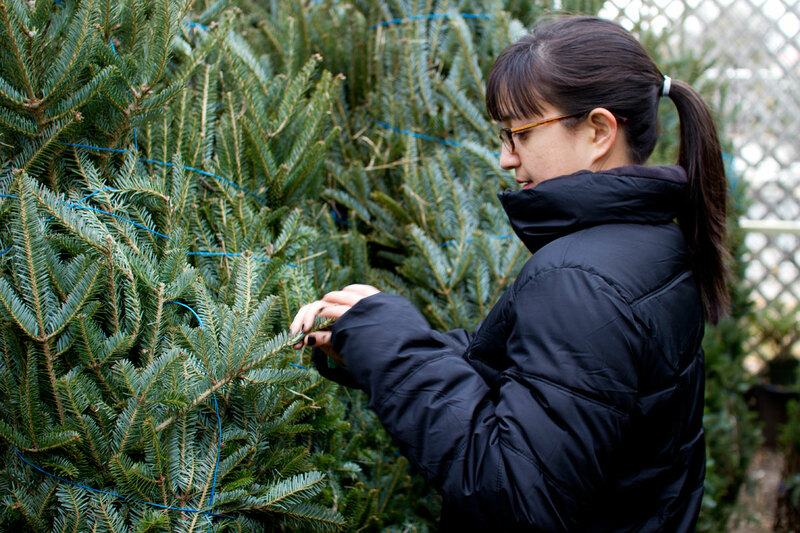 The owner showed us two trees and I narrowed them down based on scent (and price): a balsam fir (less expensive, it turns out, than a Fraser fir). Strongman Jason carried it home for us on his shoulder while I breathed in the wake. We set it up in the corner, gave it a lot of warm water, and left it for the day to settle into place. On Sunday we started up White Christmas on Netflix and set to stringing on the lights and hanging the ornaments! This year Tania gave Erin a little Brooklyn ornament, which got a place of honor, and Erin made a cute tree skirt. We had some fun taking photos of the process to make a little video in homage to the one that our friends Caro and Boon made. It’s so festive in here now! Oh, and we made you this . 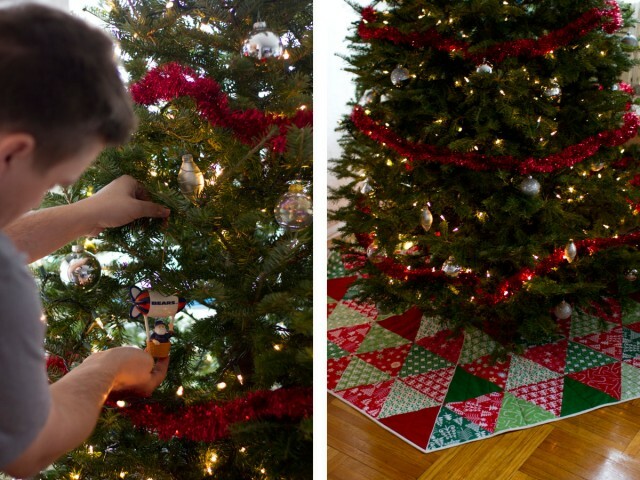 . .
Love your first live Christmas tree decorating post! Merry Christmas! And look forward to celebrating the holidays together. So cute, Erin! Loved the video. That is one great tree. Enjoy your Christmas together. Adorable video! Great pictures. Happy holidays! i love all of this, top to bottom! 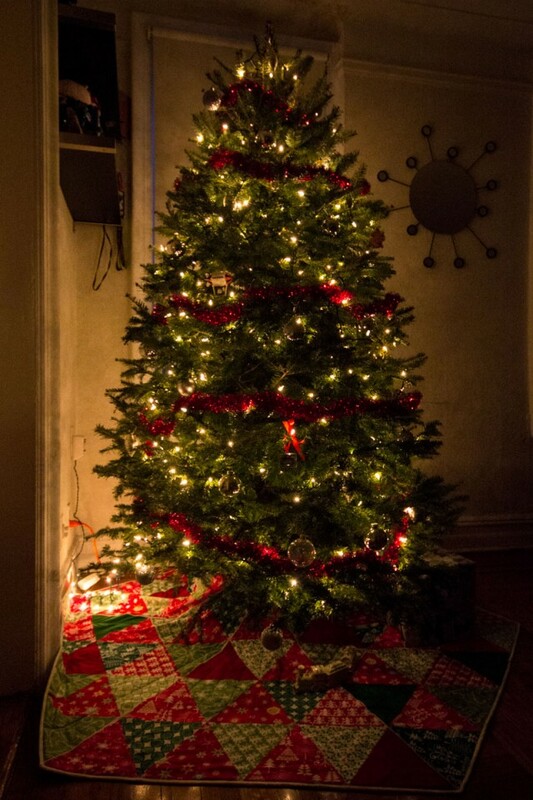 i haven’t gotten a real tree since i moved out of my parents’ house and i miss having one sooo much. 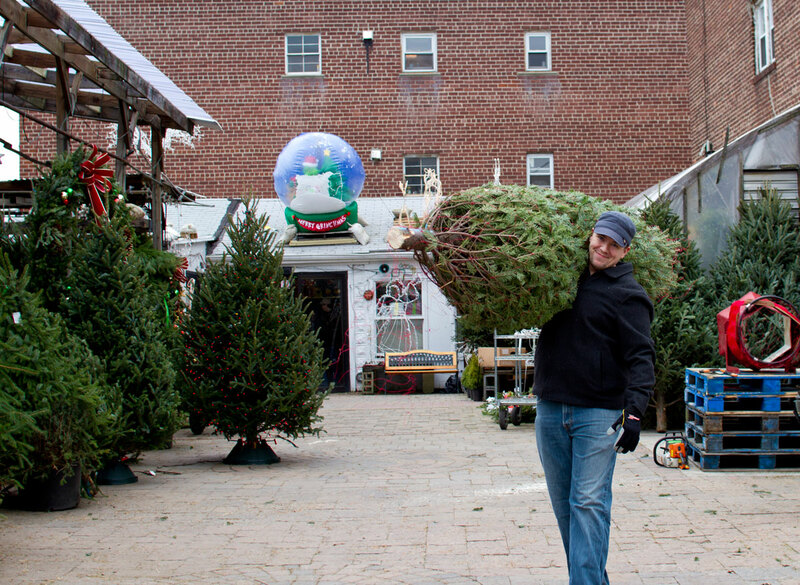 the video is the cutest, and the tree looks awesome!! Charming video! 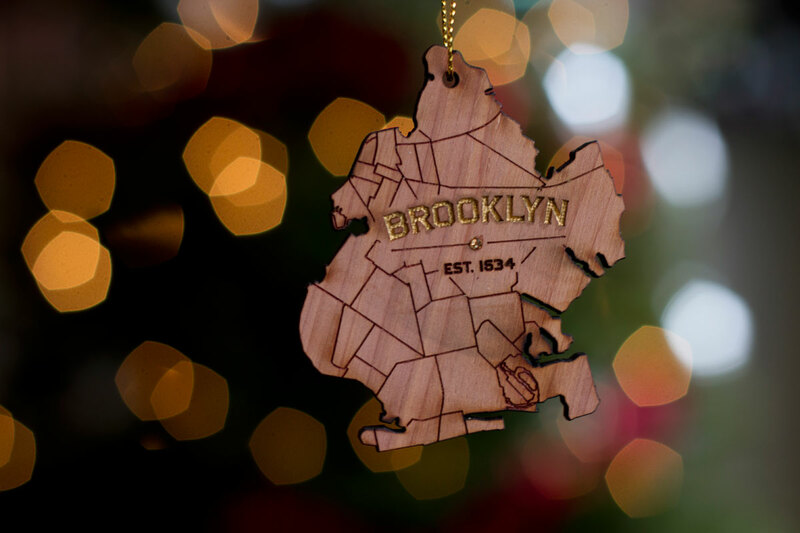 Love your Brooklyn ornament, too. 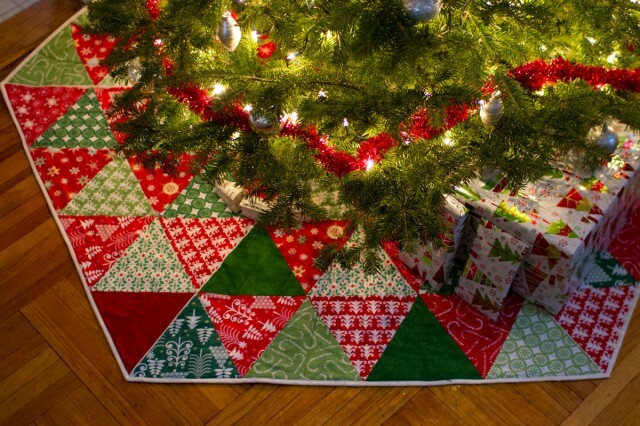 And as someone who’s just started quilting class and can appreciate that it’s a LOT harder than it looks, your tree skirt is lovely!!! Enjoy your holidays…..